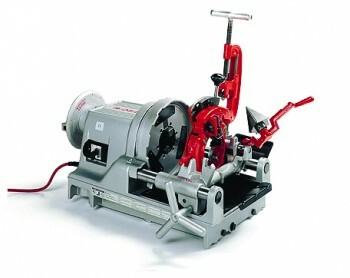 The Ridgid 1233 is a very effective middle man of threading. With a working range of between 1/2 an inch and 3 inches, this model is capable of versatile threading, reaming, cutting and chasing thread. The 1233 uses an automatic oiler, allowing you to focus on the cleanness of the cut, rather than keeping the pipework lubricated.